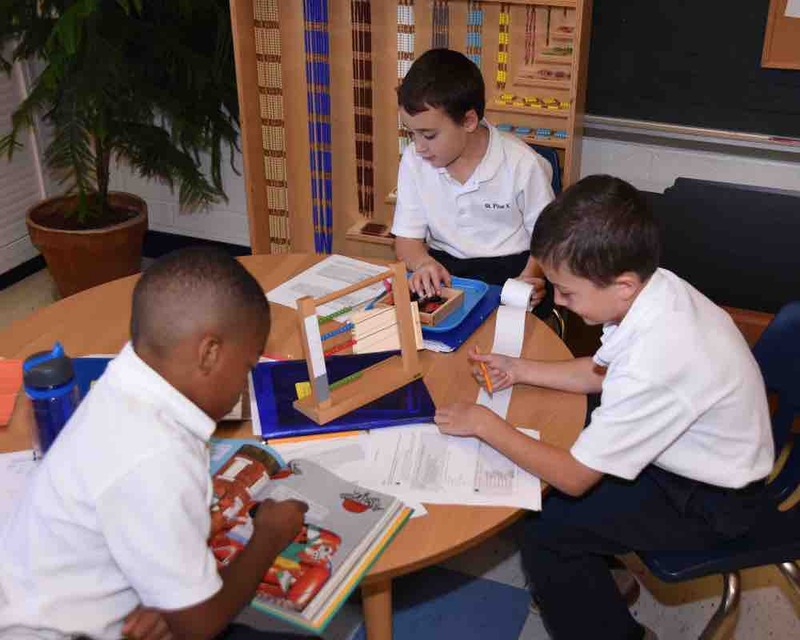 St. Pius X School is the only Catholic Montessori School in Maryland, offering a unique and cohesive program that fulfills every child’s potential. 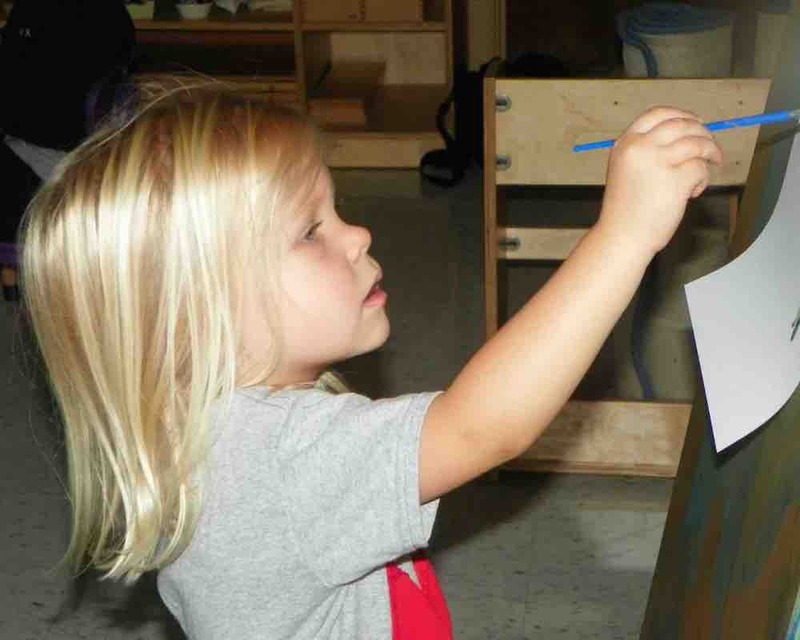 The Montessori teaching method provides individualized attention and inspires the love of learning and quest for success. In a Montessori environment, children acquire critical-thinking and problem-solving skills that set the stage for a lifetime of success. St. Pius X School is the only Catholic Montessori School in Maryland. While they are a Catholic School, all faiths are welcome in our vibrant school community. 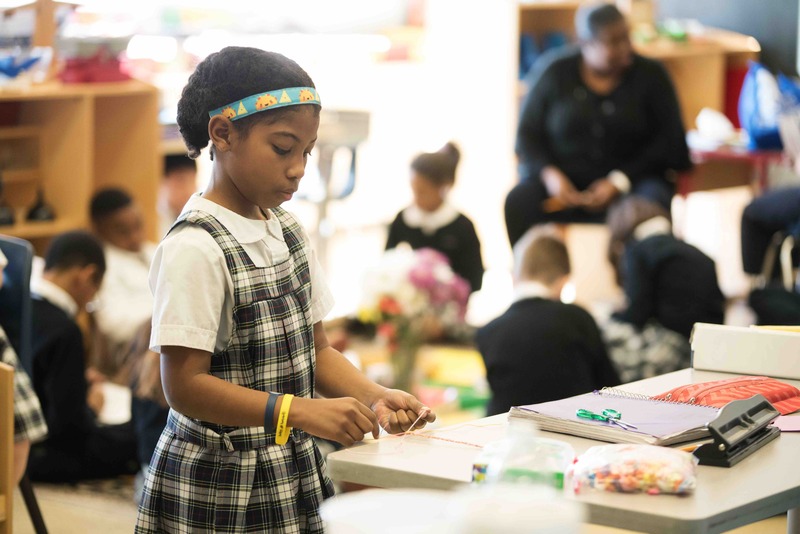 The combination of the challenging Montessori program with the Catechesis of the Good Shepherd religious program provides a powerful academic and spiritual environment that transforms children into responsible, self-motivated and critical thinking young adults. SPX has many exciting traditions! To name a few… each year the parent association hosts Breakfast with Santa and the Holiday Craft Fair. For the Christmas Pageant, the first and second graders look forward to their signature program when the students tell the story of Jesus’ birth through a story called “B” is for Bethlehem. The Sweetheart Dance is a time when little girls invite their fathers, grandfathers, uncles or special friends to a themed event. Everyone knows that the St. Pius X Carnival in May is something very special! It’s a wonderful community building event with rides, games, food, a flea market, and many fun activities for the entire family! SPX is situated behind the church and surrounded by open space with two playgrounds and school fields, plus access to Baltimore County fields. The campus is centrally located just south of Towson, MD (close to Johns Hopkins, Towson University, Loyola, and College of Notre Dame, GBMC, Good Samaritan, and St. Joseph Hospitals). The school is equipped with renovated classrooms, recent updates throughout, and provides Wifi and 1:1 Chromebooks in 5th-8th grade. 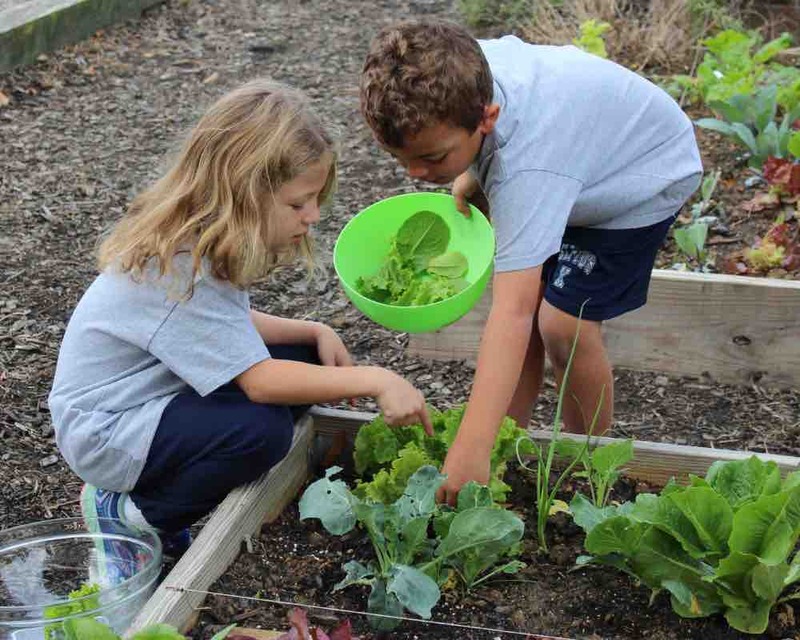 St. Pius X offers a Montessori Program and Traditional education program for Middle School. Though the basis of the curriculum is grounded in State of Maryland and Archdiocese of Baltimore guidelines, SPX students are enriched by the inclusion of foreign language instruction, technological instruction and special programs in middle school algebra. Student service and outreach is also a hallmark of our educational program. Our students are well prepared, as evidenced by our performance in the Stanford 10 testing and the impressive number of students who earn high school acceptances and scholarships each year. National Junior Honor Society, Student Ambassadors, Safety Patrol, Scouts, Choristers, Drama Club, and Band. Athletics are also a key part of our program, including Soccer and Basketball. Prospective parents may not know that St. Pius X School is a Montessori Program – the only Catholic Montessori program in Maryland. This is truly a spirited education! Applications can be submitted online from the school website. We invite you to contact us and schedule a tour! Tuition assistance is available for grades K-8. Parents can apply for tuition assistance on our website through FACTS. Rolling Admission based on availability. Families are encouraged to apply in the fall, as we currently have a wait list is select grades. St. Pius X is a great school! We have a soccer team, band, National Junior Honors Society, Student Ambassadors, Safety Patrol and lots of other fun activities. This year we have 1:1 Chromebooks, which we use for class work and homework. At home we have access to our Google Drive, Slides and Docs, so we have everything we need for homework. Eighth graders are able to take a high school placement test prep class, as a regular class. We practice the test and prepare for interviews. We have a block schedule now, so we have classes at different times throughout the day. We also have special classes like Music, Gym and Art class!